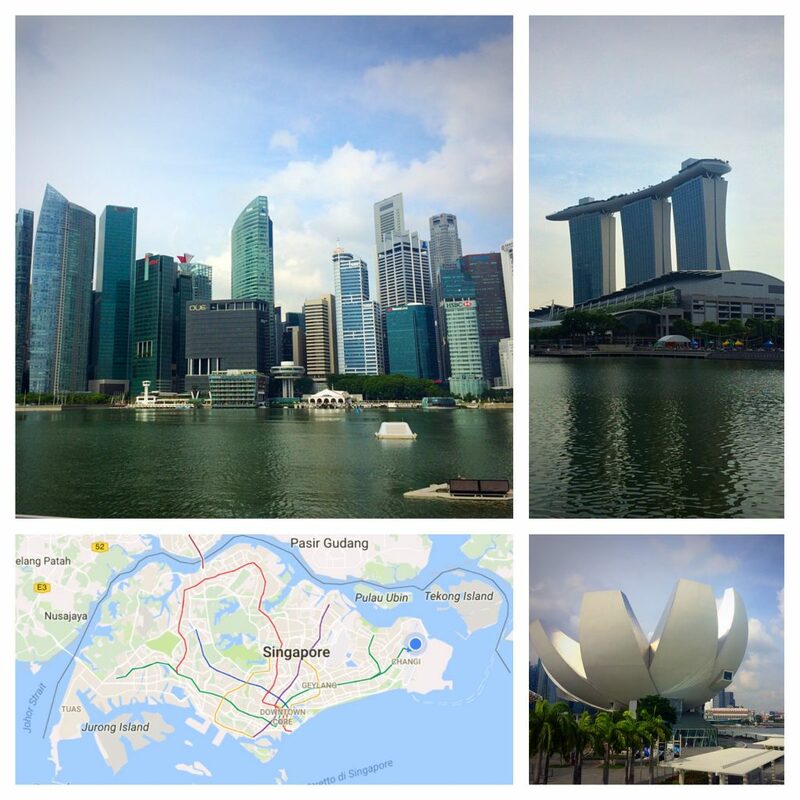 After visiting Kuala Lumpur in October for our first visa-run from Thailand, we decided to venture a bit farther south in November to the island nation of Singapore. 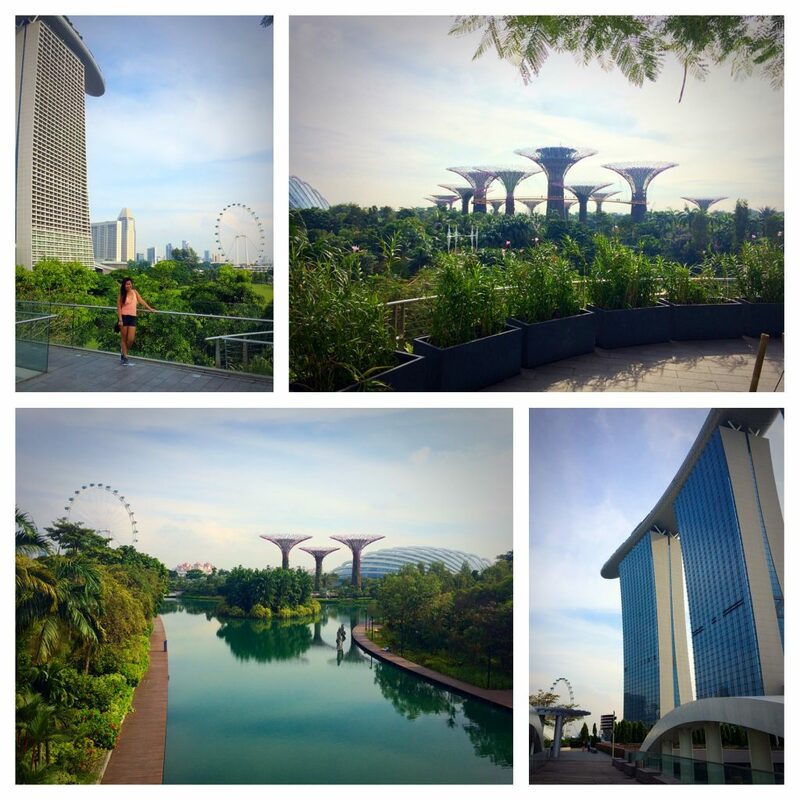 I’ve always had a budding curiosity with visiting Singapore, yet it always seemed so far away from my travels. My primary introduction into anything Singaporean were the Singapore Airlines flights between San Francisco (SQ1) and Hong Kong (SQ2) that I’d taken a hand full of times. I’d always wondered what it would be like to take the final four-hour leg of the flight from Hong Kong to Singapore and explore the world’s only island city-state that lies just 1 degree above equator. Anything resembling a firearm (even a toy gun or gun-shaped lighter) must be reported to the authorities immediately upon arrival. Drug trafficking is punishable by death (as stated on the immigration card), and almost immediately after deplaning, passengers must go through a security screening even prior to immigration. It was an unusual, albeit understandable welcome to Asia’s most ferocious Tiger nation. 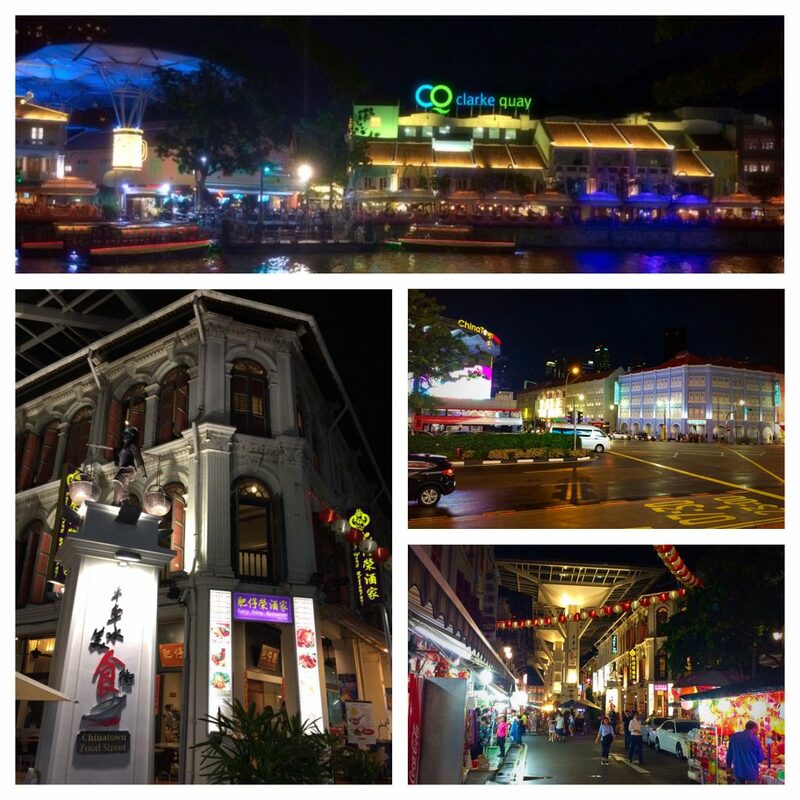 I expected the visit to Singapore to feel much like a trip to Hong Kong. I envisioned a port city with futuristic skyscrapers, bustling financial and shopping districts, and fairly high prices in comparison to the rest of Southeast Asia. In many ways, Singapore lived up to this image but in many ways it truly stood out on its own. While there’s a large population of Chinese (74%), the country is a blend of four cultures and languages – English (from its colonial days), Malay (from its storied past of being part of the original Federation of Malaysia), Tamil (colonial-era migrants from southern India), and Mandarin. As one of the former original states of Malaysia when it was formed in 1963, Singapore has a similar immigrant history. Whereas in their colonial days, Kuala Lumpur grew primarily due to the tin (pewter) industry, Singapore was the rubber making capital of the region. As a result, migrants from China and other British colonial territories flocked to the island in search of prosperity. In 1965, Singapore was unceremoniously expelled from Malaysia just two years after the Federation was formed. It very rapidly diverged from Malaysia and, in less than two generations, became the most advanced economy in Southeast Asia. Recently, the country’s Gross Domestic Product (GDP) per capita ranked 3rd globally just behind Qatar and Luxembourg. But Singapore is a such small place with a huge global impact. With an area of just 278 sq. mi, the tiny island nation is about halfway between the size of the cities of Chicago (228 sq. mi) and New York (308 sq. mi). In just 30 minutes by train from the center of town one can reach the edges of the main island on any side. 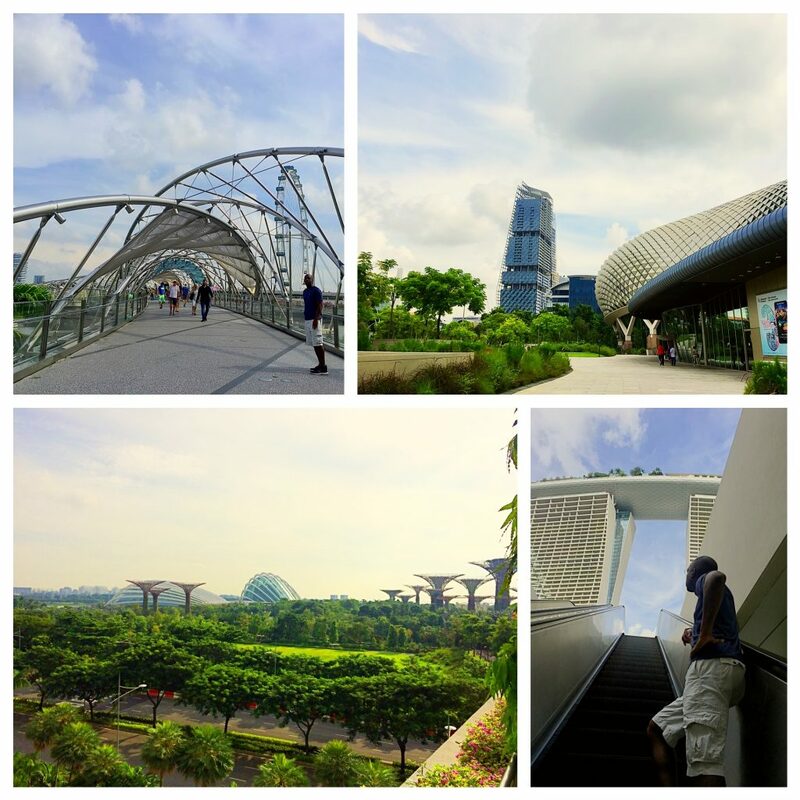 Most surprisingly, Singapore is not just one island; it’s actually made up of more than 60 islands – though we only visited two during our brief stay. With just two full days during our 4-day weekend getaway, we opted to stay in the heart of the city. 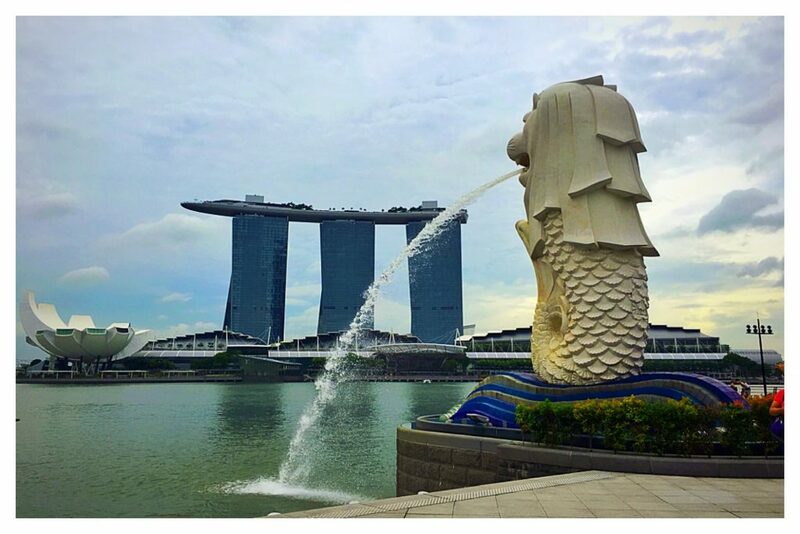 We originally tried to find an apartment on Airbnb but were quickly reminded that the cost of living in Singapore in much higher than most other Southeast Asian big cities. 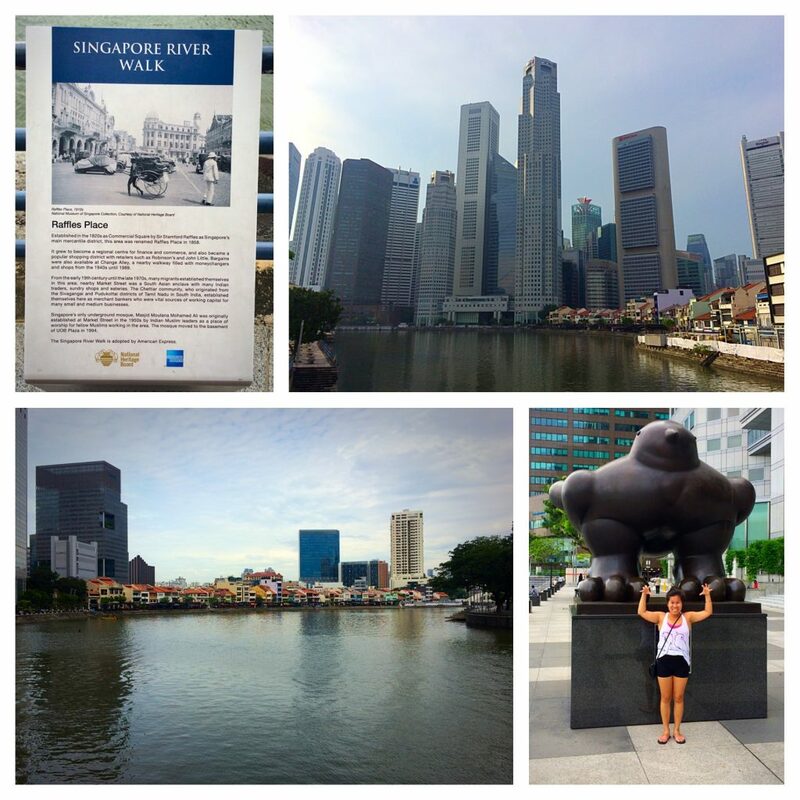 Since it seemed we couldn’t get anything bigger than a shoe-box outside of downtown for less than $80-$125/night, we opted to splurge a bit and use some of our Chase credit card points for a stay at the Swissotel Merchant Court along the Singapore River. It proved to be a perfect location with easy access to every attraction on our list within 15-30 minutes or less by foot or by metro. Our first night in town, we ventured a few blocks west of the hotel to Chinatown and strolled through what is arguably the newest and nicest Chinatown districts we’ve ever seen. Though we didn’t eat there on the first night, we returned the following evening to check out the popular Chinatown Food Street Market. 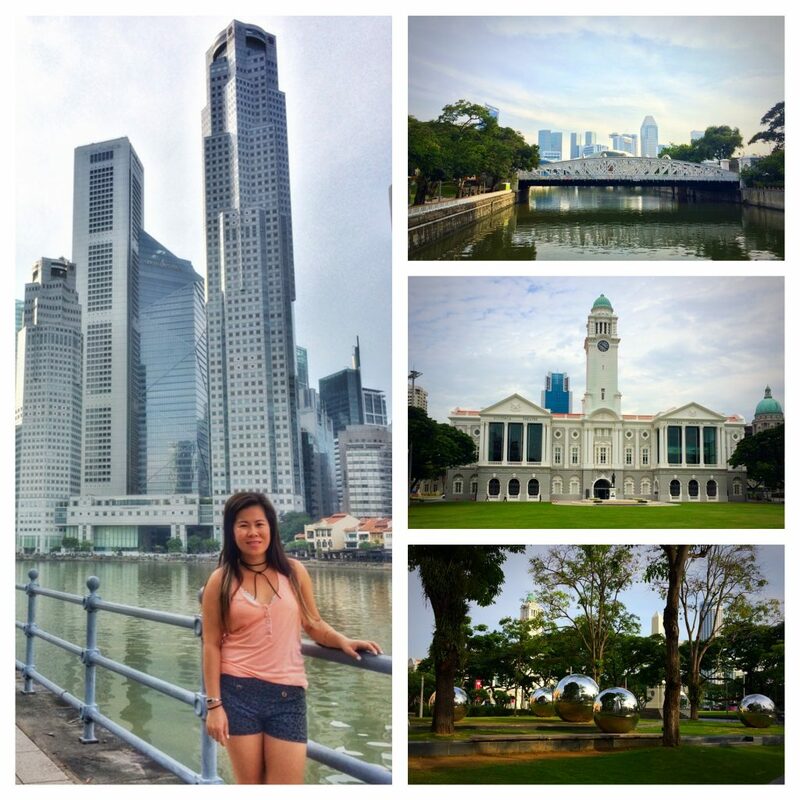 Outside of housing costs, eating and getting around in Singapore seemed to be relatively inexpensive. So, it’s not surprising that everyone I spoke to prior our visit simply raved about the range of affordable and delicious dining options in town. 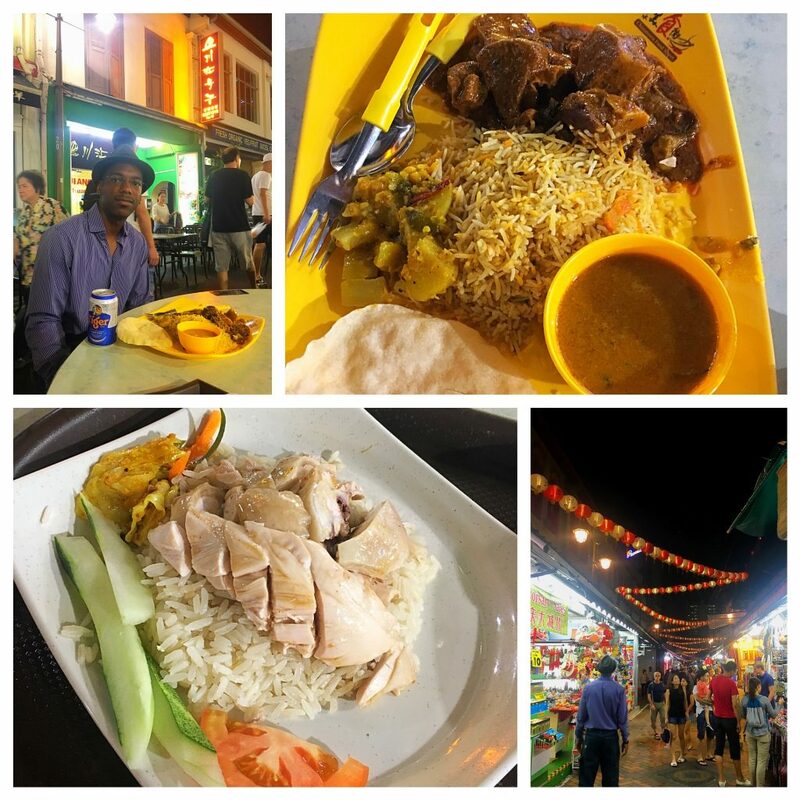 The country’s dynamic culture and immigrant history provide for a broad spectrum of culinary options at prices similar those in Kuala Lumpur. 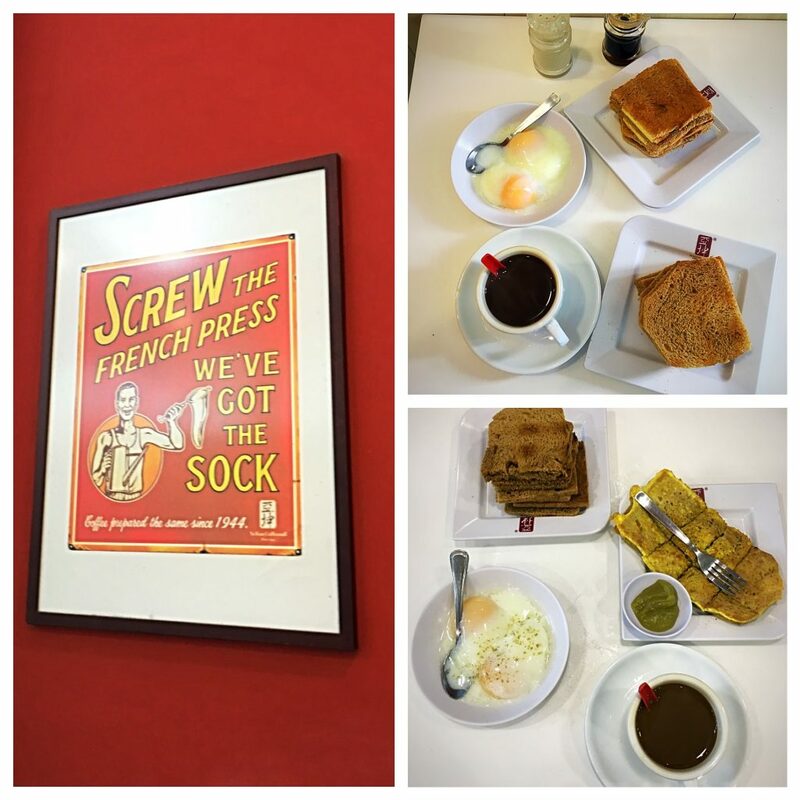 One of our favorites ended up being a Singaporean-style toast, egg, and coffee breakfast at the well-known Ya Kun Kaya Toast Café across from our hotel. 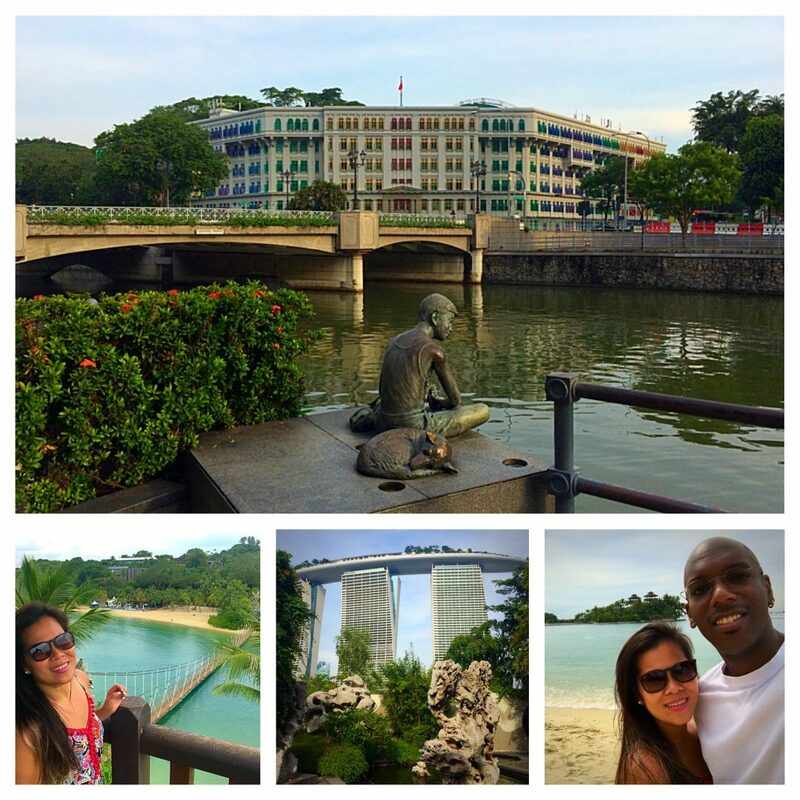 The beauty and history of Singapore start at its namesake river. Being just steps away from this aquatic jewel and the mouth of its Marina Bay, allowed us to enjoy cool morning and evenings strolls through its 19th century colonial past, beneath its 20th century architectural wonders, all while marveling at its 21st century Marina Bay Sands Hotel and Gardens by the Bay. 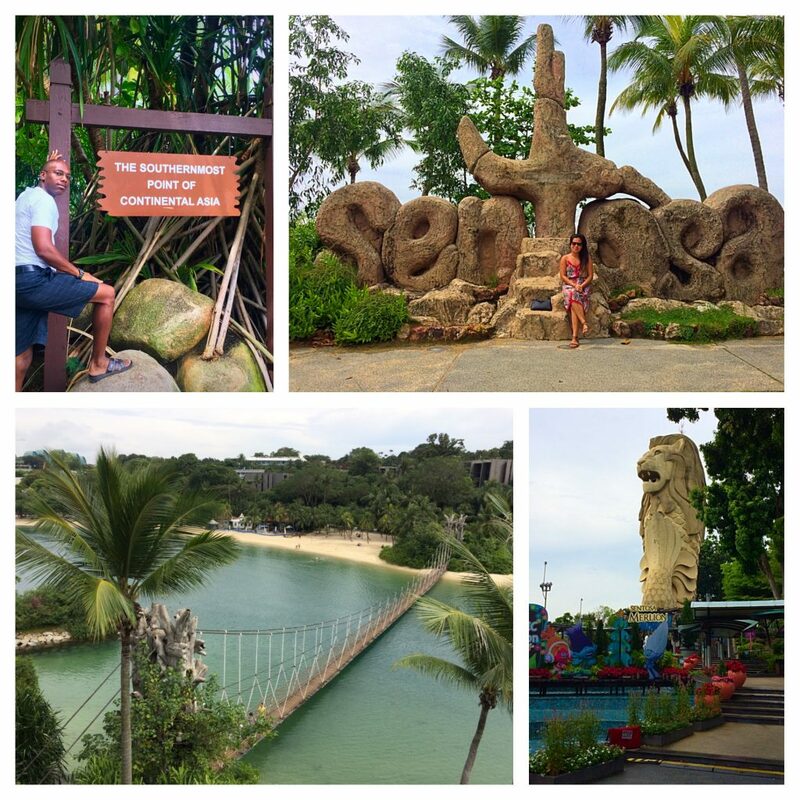 In addition to its urban jungle, Singapore has a very inviting natural landscape – which I’m sure is a welcome retreat on hot tropical days. After venturing into the shopping districts for a little people watching and window-shopping, we took a long walk back to hotel. 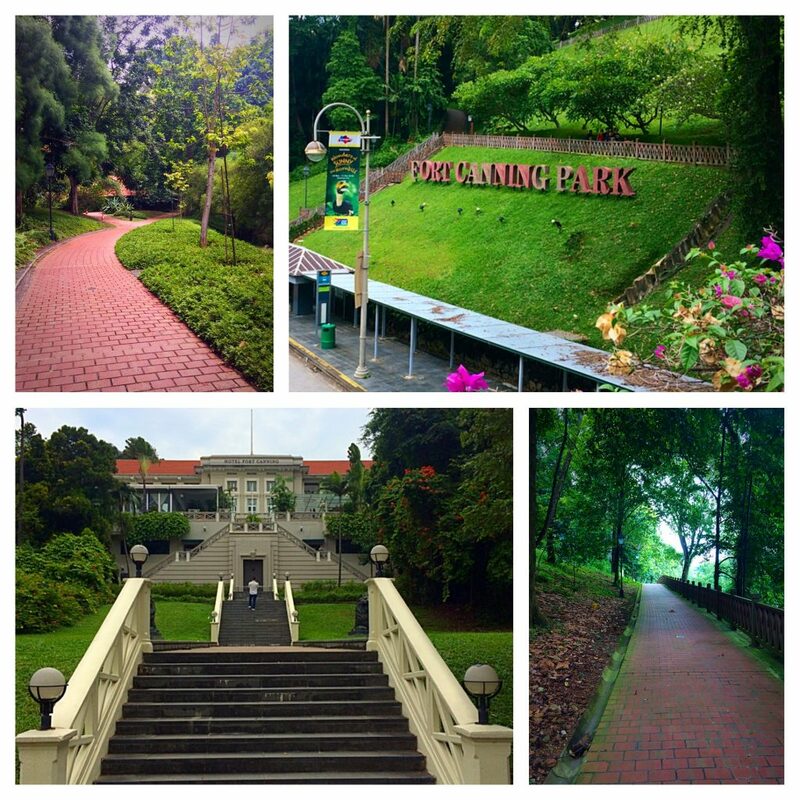 Along the way, we were treated to an impromptu urban hike through the one of the city’s urban parks, Fort Canning Park. The walk reminded us previous urban hikes we’ve taken in cities like Hong Kong, Montreal, and Vancouver over the years. 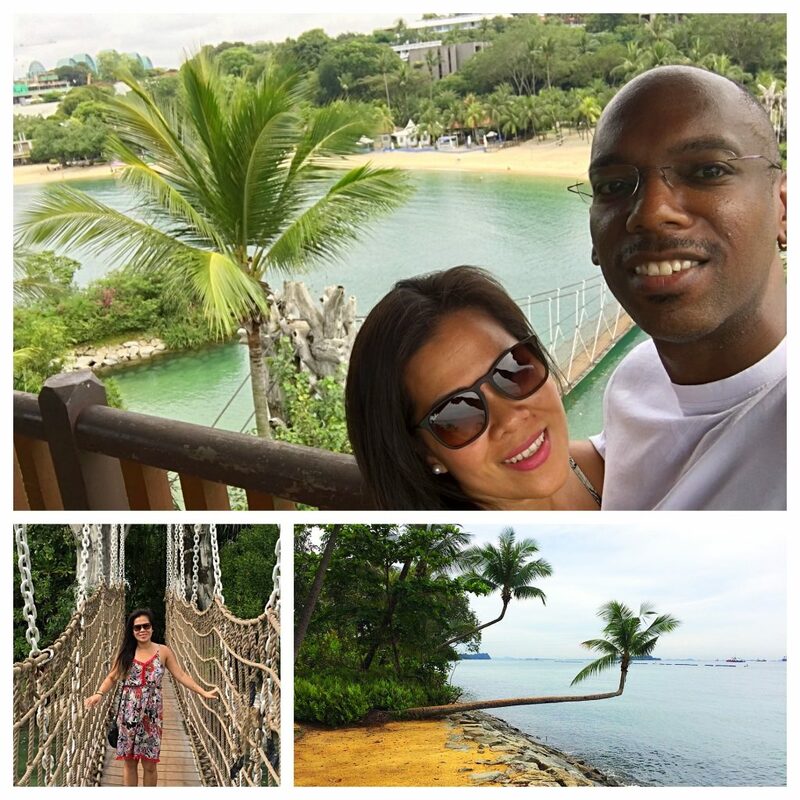 The following morning, we took a quick 10-minute train ride out to Harbor Front and set off on another impromptu hike across Sentosa Island to reach Palawan Beach – the “supposed” southernmost point of Continental Asia. We hadn’t step foot on a beach since our trip to Maiori and Positano on the Amalfi Coast back in July. Though the beach was small in comparison, its beauty was no less amazing. I could have sat there for hours on end, simply feeling the breezy and enjoying the picturesque landscape. Thankfully, we arrived in the morning, because as we were returning across the island, we weaved through the hoards of tourists and urban escapees on their way to the island wonderland for their own Sunday Fun Day. 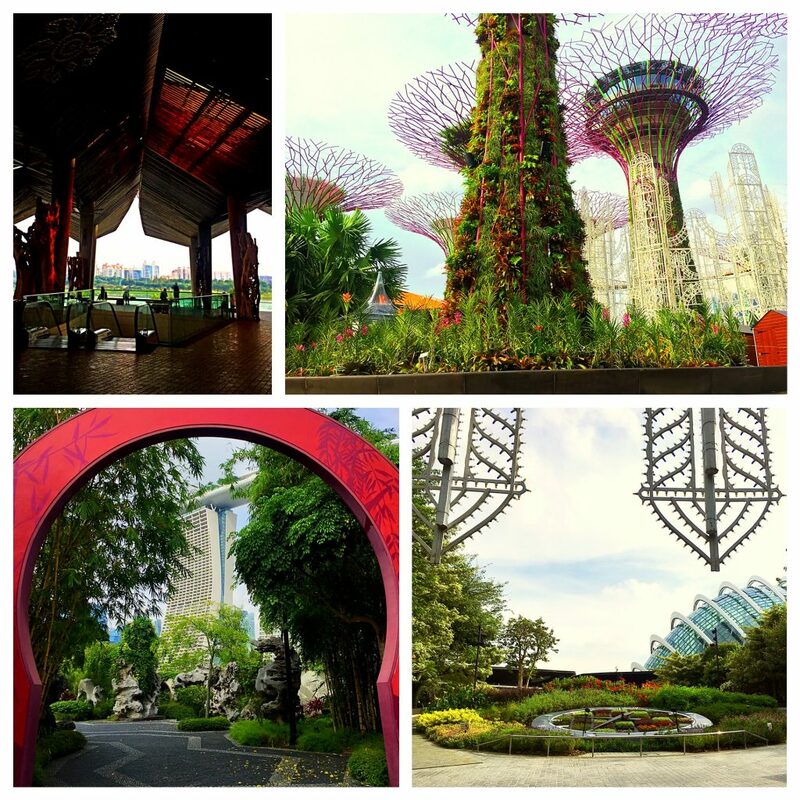 Though one of the more expensive getaway options from Chiang Mai, Thailand, Singapore was a surprisingly affordable and majestic destination. Yet the city, its remarkably clean environs, dynamic food options, and captivating landscape weren’t the only parts of the trip that caught me by surprise. Given that we booked this trip prior to making other year-end travel plans, my wife coordinated a special treat for me with help from the hotel’s staff. 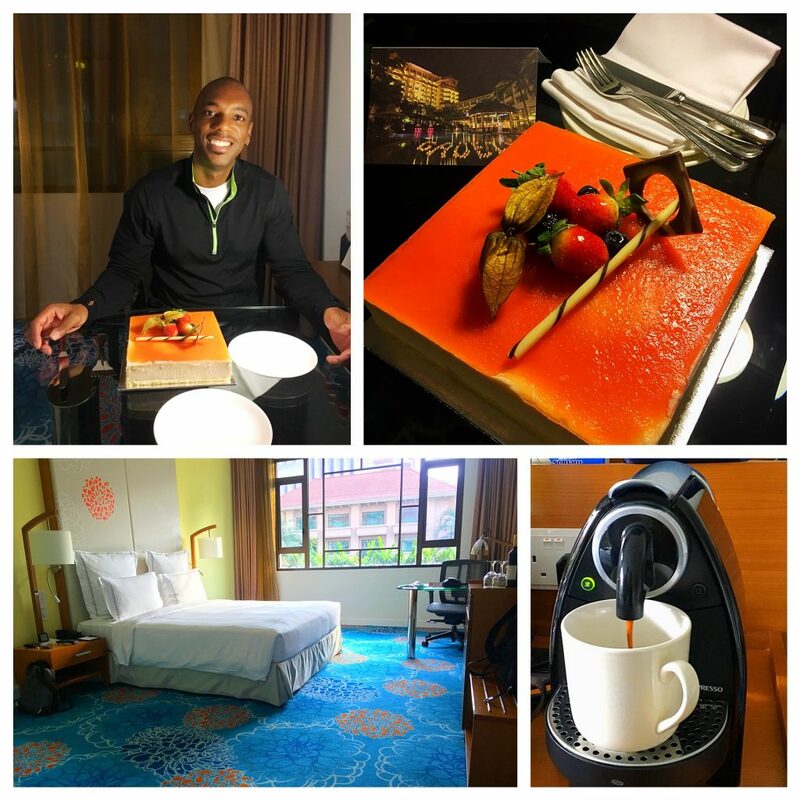 After one of our nights on the town, we returned to our hotel room to find a birthday cake for me – one month early. It was perhaps one of the most delicious birthday cakes I’ve ever had and coupled with cup of espresso – I could not have been more satiated. A few weeks before our trip to Singapore, I was sitting at my favorite local café in Chiang Mai (Nine One Coffee) and struck up a conversation with a fellow location independent traveler. She was a twenty-something Singaporean escaping from her life in the urban jungle to the enjoy the natural beauty of Northern Thailand and the lands formerly called “Indochina.” At the time, she alluded that Singapore is a great city to visit and stay for a few days but nothing more – and she was right. I’m glad that I was able to finally reach of one my dream destinations and explore the city, the parks, and the beach. But after a few days in the cosmopolitan metropolis, I was ready to head back to the less bustling confines of Chiang Mai and prepare for the next getaway adventure – Phnom Penh, Cambodia. Such a pleasant read! Made me think of my brief time there. Wonder what the haze level when you were out Cheers to the early birthday celebrations!